How many kids grow up trying to imitate Mike’s style rocking Jordans and feeling like they’re the world’s greatest? It’s what pushes them to become the athletes they are today — that chance to have the ball in their hands with the seconds ticking away and the game on the line. Some actually achieve that status, and are able to trade in the beat-up pair they got off the shelf for a pair of Air Jordans made specifically for them. We decided to break down who's had the hottest exclusives from MJ’s camp and where they stand in the game. 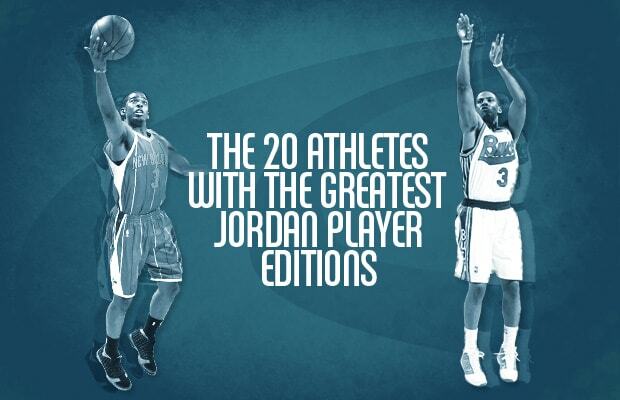 Click on the gallery to check out The 20 Athletes With The Greatest Jordan Player Editions and let us know who you think got laced the best by Michael and company.